Perfect for your mobile work bench needs. The heavy duty construction allows you to perform all of your tasks from one mobile bench. Items can be stored and secured by ball bearing slide drawers and cabinet space. Includes cylinder locks and keyed handle (cylinder locks keyed different unless specified). Custom design available. 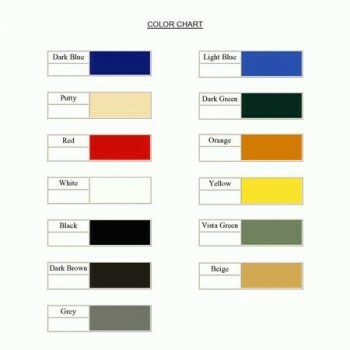 10 standard colors. 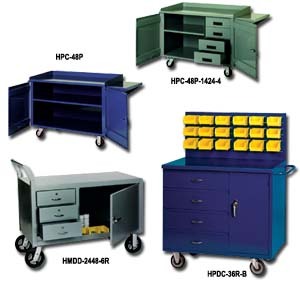 HPC models available with optional side shelf and vice. FOB Shipping Point. Note: Photos C) and D) shown with optional side shelf and vice. Product No. Ltr. No. Size W x D x H Caster Size Wt. (lbs.) Price Ea.